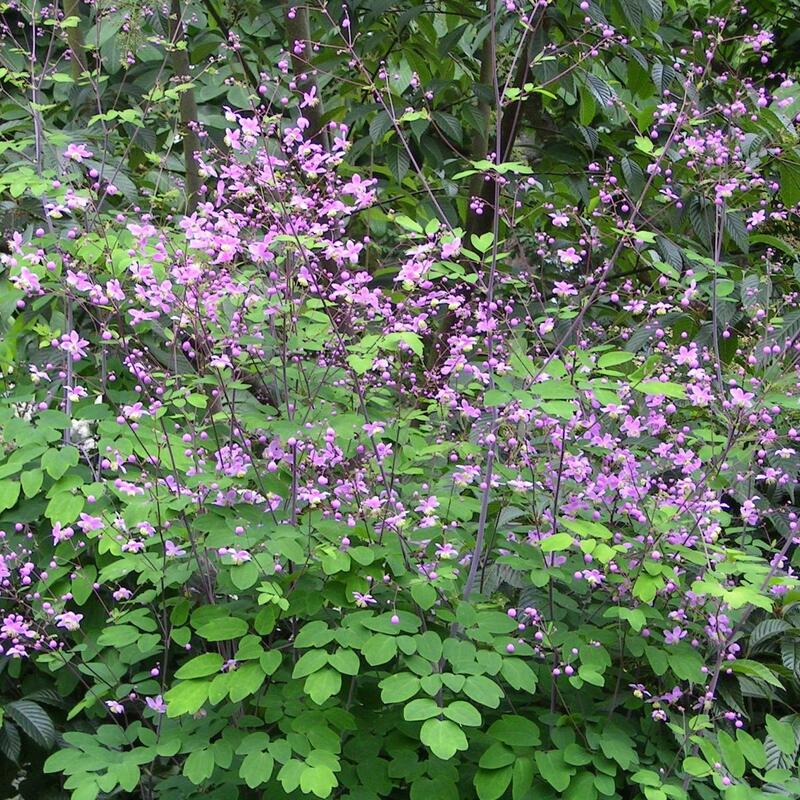 Thalictrum rochebruneanum, commonly called meadow rue or lavender mist meadow rue, is a slender,clump-forming perennial which features lacy, fine-textured, bluish-green, pinnate,columbine-like foliage. Small, pendulous, lavender-purple flowers with contrasting yellow stamens appear in late summer in loose panicles on sturdy,purple stems which rise well above the foliage to 120cm tall. When massed, the overall effect can be spectacular, but my single plantings never fail to impress. 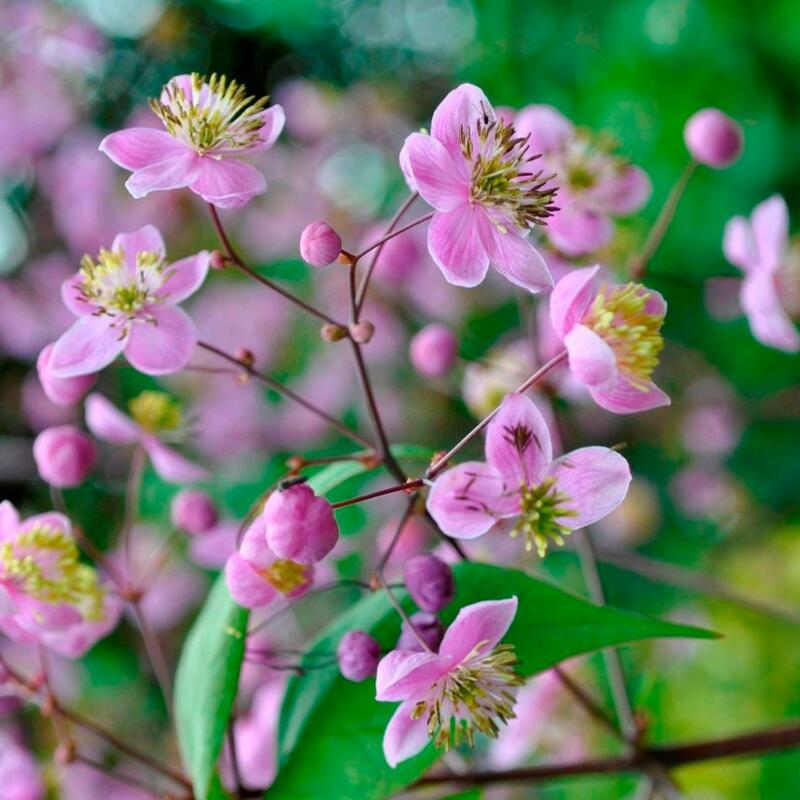 Thalictrum rochbrunianum is a superb perennial that shows off an ethereal, lavender coloured mist - this very elegant Japanese native perennial has attractive foliage and a riotous display of dainty flowers from June. Most effective in a drift – plant them wherever a glow of purple would be welcome. Short of severe drought, there is little to stop this beautiful and dependable, long lived perennial. Deciduous but returns for a better show each season. Ideal in a rich, loamy soil although will tolerate a wide range of soil types. Deer resistant and probably the best of the genus!